With the 2016 Hearthstone Championship Tour coming to an exciting conclusion as we crown a new World Champion at BlizzCon, we’d like to give you a sneak peek at what’s in store for Hearthstone esports next year! Global Season Championships – We’d like to see more global clashes throughout the year, so we have combined the regional Season Championships into global Season Championships. Each of these global Season Championships next year will take place at a select host region, and will be held in venues that you can attend in-person to cheer on your favorite competitors! Season Playoffs – The regional Season Preliminaries have been replaced with regional Season Playoffs, and each of the 4 regions (Americas, Asia-Pacific, Europe, and China) will send 4 representatives to the Season Championships each season. Each Season Playoffs will use the Swiss Tournament format and continue to include local Tavern Heroes, but they’ll be more competitive to qualify for, and include deeper prizing to reward more participants. Championships Synced with Standard – We’d like to keep the tournament meta fresh and exciting, and we will work toward aligning the HCT tournaments with our Standard Year and its associated content releases. What this means for next year is that each of the global Season Championships will take place during its own content cycle. This also means that the next World Championship will take place at the end the upcoming Standard year in early 2018. Points and Cups – We’ll be adjusting the amounts of points earned from tournaments and Ranked Play to be more evenly distributed and include more players. We’re also making improvements to the Cup system. Hearthstone Competitive Points from Ranked Play begins with the November Standard Ranked Play Season next month. 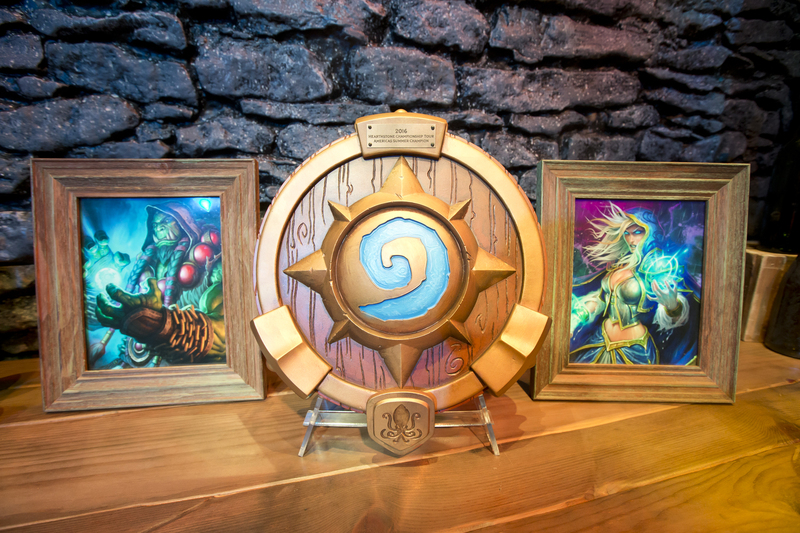 Prize Pool – The total HCT prize pool for next year will be over $2 million USD. The World Championship will have a $1 million USD prize pool, each Season Championship will have a prize pool of a quarter million USD, and each Season Playoffs will have at least $20,000 USD in prizing to reward more participants. We’re very excited about the changes to the HCT next year, and we hope that you’ll find it a more exciting playing and viewing experience—but that’s not all! We have two new esports programs that we’d like to introduce for Hearthstone next year detailed below. We love seeing the passion of players rooting on their fellow players, particularly their local heroes. We also love the cooperation, collaboration, and camaraderie that emerges from team-based competitions. The Hearthstone Global Games (HGG) aims to scratch this competitive itch and will feature teams of players from various countries battling it out weekly in a global league. Each team in the HGG will consist of the top Hearthstone Competitive Point earner from their country and three of their fellow community-voted countrypersons. Cheer on competitors from your country like never before! Looking for a more light-hearted viewing experience? We’ve got you covered with the Hearthstone Inn-vitationals (HSI)! This series of exhibitions will showcase a variety of fun Hearthstone formats with some of your favorite Hearthstone personalities. Among the invitees will be popular streamers, winners of major tournaments, and celebrities. When a Hearthstone Inn-vitational rolls around, you won’t want to miss the zany antics or “playful banter” that might ensue! We hope you’ve enjoyed our brief preview of the exciting updates to our Hearthstone esports programs next year. We’ll have many more details to share with you when we officially announce each of the programs next year. We’d also love your feedback! Which program are you most excited about? Let us know by tweeting @PlayHearthstone with the #HCT, #HGG, or #HSI hashtags.